The U.S. has 99 nuclear reactors operating at 60 facilities, providing a fifth of the country’s electricity. The new UCS report says more than a third of those nuclear plants are either unprofitable or scheduled to retire. Add in the plants that are only marginally profitable, and the UCS report says around half the country’s nukes could be at a serious risk of closing. It also says most nuclear plants nationwide are owned by a company that owns at least one at-risk facility. But Seabrook and Millstone don’t appear to be in danger, says UCS energy research director Steve Clemmer – making them key sources of reliable, low-carbon energy. "The cuts that we need to make in emissions are very deep and need to occur immediately,” he says. “So that really does involve some tough choices, some trade-offs, and it caused us to take a harder look at technologies like nuclear." New Hampshire is also heavily reliant on nuclear power. Fifty-seven percent of the electricity generated in state is nuclear, more than in almost any other state. And the New England grid often gets around a third of its electricity from nuclear plants – the top source alongside natural gas. “New public policies are needed to properly value low-carbon energy and prevent the replacement of nuclear plants with large quantities of natural gas,” the report says. “Until such policies are in place or natural gas prices rise significantly, owners of economically at risk nuclear reactors will continue asking policymakers for financial assistance,” it continues. But Clemmer says profitable plants like Seabrook and Millstone don’t need government subsidies to remain solvent. He says they’re already helped by policies, like the Regional Greenhouse Gas Initiative, that have made fossil fuel sources less economical in their service areas. The Union of Concerned Scientists has historically cast itself as a watchdog on nuclear power, and Clemmer says that isn't changing -- even as they acknowledge that safely run nuclear plants will be necessary to keep emissions down. Opponents of Seabrook, which is seeking to extend its operating license through 2050, are worried about cracks in the plant's concrete foundations. It's the only nuclear plant in the country known to have the problem, called ASR. Clemmer says as Seabrook's relicensing goes forward, his group and others will be watching to make sure regulators put in place as many safeguards as possible. And if the plant did run into financial trouble, he says his group "would not support subsidies for it unless the concrete degradation problems were addressed." This story has been updated to include further comment from UCS on Seabrook's concrete degradation. 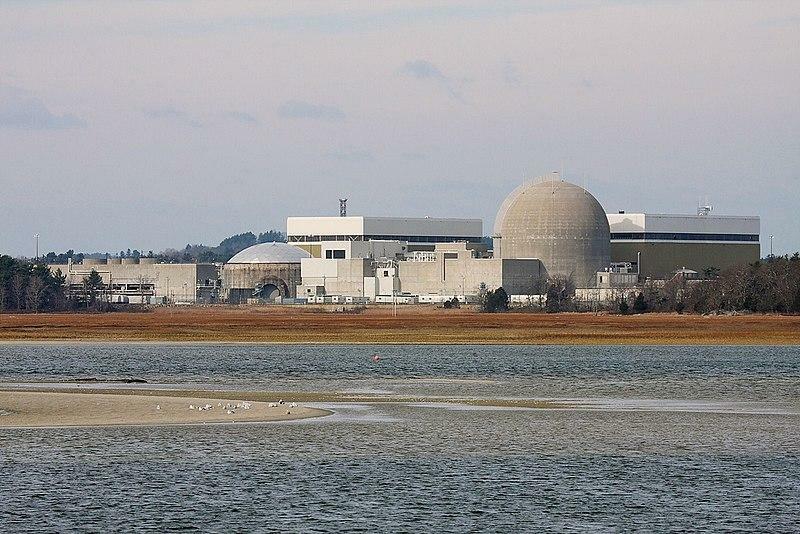 A scientific panel will discuss cracks spreading in the concrete at Seabrook Nuclear Power Plant during a meeting Wednesday. The independent committee advises the Nuclear Regulatory Commission on reactor safeguards. They’ll hear from federal officials and from Seabrook’s owner, NextEra, on how they’re addressing the problem. The concrete degradation is caused by a chemical reaction, known as ASR, and was found in 2010. New Hampshire is the only New England state that didn't join a coalition opposing the proposed rollback of the Clean Power Plan. The EPA wants to replace the Obama-era plan with a rule that loosens carbon emissions standards for coal-fired power plants.